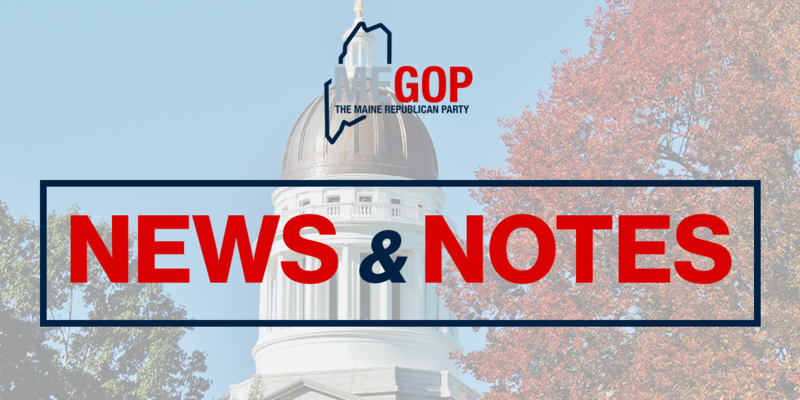 AUGUSTA – A WMTW report on the Dillon Bates story accusing him of inappropriate conduct and relationships with teenage high school girls shows that Democrat leadership was flatly denying there was any truth to the story this spring. The story quotes a Democrat communications staffer, who no longer lives in Maine, saying this spring there was “absolutely no truth” at all to the story. Speaker Sara Gideon, however, is now claiming that she had heard the rumors months ago and told Rep. Bates he would be asked to resign if any more information came to light . Only now, after an article was published on Rep. Bates’ alleged behavior, is Speaker Gideon calling for his resignation. House Democrats have only two communications staff positions. A simple deduction shows the staffer quoted was Lindsay Crete, the communications director for Jared Golden’s office, as can be seen on this page, last archived from December, 2017. Crete is the only communications staffer who no longer works in the office and no longer works in Maine. So while Speaker Gideon is now speaking to the matter, it was Jared Golden’s communications director who told WMTW there was “absolutely no truth” to the story. While Speaker Gideon has called on Rep. Dillon Bates to resign, Jared Golden appears to be avoiding comment. Jared Golden is seeking a seat in Congress, where an epidemic of misconduct and worse has been exposed and laws have been passed to try to crack down on the epidemic. Who instructed Golden’s communications director to tell reporters there was “absolutely no truth” to this story if Speaker Gideon had warned Bates he would be asked to resign if any more came to light? Please note: the only real difference between the story published at the Bollard and the allegations that circulated through the state house earlier this year is that the accusations are now in the media spotlight. Only when it became a political risk for Jared Golden, Sara Gideon and Democrats, did Speaker Gideon say Dillon Bates had to go. We still don’t know what Jared Golden thinks, except his communications director said there was “absolutely no truth” to the accusations. There is no way around it, something stinks. We are reiterating our call for someone to get to the bottom of this. We call on Jared Golden to step forward and explain how his communications office’s story is so different than the story told Friday by Speaker Sara Gideon and her staff. Did Jared Golden instruct his communications staffer to say there was absolutely no proof to the allegations? What did Jared Golden know, and when did he know it?